For years, the federal government has maintained a generous standing offer, encouraging states to expand Medicaid coverage now and pay later. It was an offer seemingly too good for many to refuse, yet time has borne out the wisdom of those that weren’t drawn in by the Obama administration’s false hopes and promises. The Affordable Care Act made many promises — to patients, states, health care providers and insurers — but, unfortunately, too many of them haven’t been kept. Throughout the country, nonprofit co-ops established through the ACA have been failing at every turn as a result of the restrictions inherent to the law and the lack of adequate funding from the federal government. Late last year, 66,000 Utahns received notice that they would need to find another insurance company after the closure of Arches Health Plan. Thirty-five thousand of those individuals bought their insurance on the federal exchange, where they are left with few options. We recently learned that Arches has $33 million in unpaid claims and less than $18 million in the bank. Federal payments still owed to Arches were expected this summer and would have helped alleviate the shortfall; the federal government decided not to pay. Yet again, local providers, insurers and patients will be left with higher costs as a result of misplaced trust in the promises made by those in Washington. We need to understand that with this, and any, federal program, the federal government is 100 percent in control. It makes the rules and it can change the rules; it can decide one day that this program is less important than the newest, latest Washington giveaway and leave states — and, more importantly, patients —in the lurch without coverage. States are then left to deal with the fallout. In most of rural Utah, residents on the Obamacare exchange had only two options: Arches and SelectHealth. Due to the failure of Arches, only one option remains, and SelectHealth has warned that losses suffered as a result of the ACA will lead to significant premium increases. It has no choice but to cover the costs imposed on it by federal mandates, and those mandates will be paid for by all of us. It’s not as if the warning lights haven’t been flashing. Just after the end of the session last year, 12,000 Utahns received letters informing them that their Medicaid benefits would immediately be coming to an end as a result of Congress not yet appropriating funding for their particular Medicaid program. The state was left without the ability to pay for or continue the program. Complaints were lodged with the state, which had absolutely no control but was left on the front lines to face the understandable anger and frustration of these people. After a public outcry the Centers for Medicare and Medicaid Services instructed the state to reopen the closed cases and allow people to seek treatment. It did this though the program actually had no way to pay at the time. For those of us in the Utah Legislature who have opposed Medicaid expansion, the biggest stumbling block has always been the potential burden it places on our state and our taxpayers. There is no budget certainty with such an arrangement, and the danger becomes even greater when we realize that once we commit, we are obligated to pay whatever the costs may be, but the federal government can, at any time, change the rules as it has done over and over since the implementation of the ACA. Even after meeting with Secretary of Health and Human Services Sylvia Matthews Burwell in Washington in 2015, we were no closer to establishing any kind of fiscal certainty required by many of my Utah lawmaker colleagues. Burwell and her staff told us that if we expanded Medicaid, there could be no caps on enrollment or cost; Utah taxpayers would be obligated to pay 10 percent of an unknown and unknowable number. This wasn’t remotely palatable then, nor is it now. Because Utah is constitutionally required to balance its budget each year, if costs were higher than anticipated, something else would have to be cut no matter how vital those programs or services. We would be held to that commitment — 10 percent of an unknown number. But we have since seen repeated examples demonstrating that the federal government has no compunction about reneging on its promises or revisiting its obligations when it suits it. We were openly ridiculed at the time for even questioning its ability or willingness to pay the portion outlined in the ACA, but time and circumstances both here in Utah and in other states have proved the legitimacy of our concerns. As we continue seeking solutions to help those who fall into the ACA-created coverage gap, it’s important that we recognize how the law is impacting health care as we know it. Those who demand full Medicaid expansion are stuck in the same narratives that were developed when Obamacare was still theoretical. Now, after many states that took the federal Medicaid expansion bait have started implementing the program, we’re seeing real-time failures and accompanying chaos. And the lessons are abundantly clear. Since making the decision last year that ACA Medicaid expansion would place the state in a precarious financial position, the wisdom of that choice has been proved time and time again. The federal government is not a reliable partner and cannot be trusted to keep its word. All it takes is another Congress, another president, another priority, and those states that have chosen to accept these funds, along with the many strings that go with them, will be facing the same quandary as Arches and all the other failed co-ops. We simply aren’t willing to do that to citizens of our state. 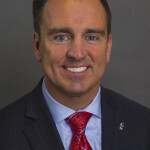 Greg Hughes represents Draper in District 51 and currently serves as Speaker of the Utah House. He and his wife, Krista, are the parents of three children. He grew up in Pittsburgh, Pennsylvania, moved to Utah to work on a political campaign and ended up staying, attending Utah Valley State College and BYU. He is a small business owner in the real estate development and property management sector. During his time in the Legislature, Hughes passed legislation to implement state spending limitations and supported a flatter state tax, truth in bonding and other tax and spending reforms. In 2006, he received the Taxpayer Advocate of the Year Award from the Utah Taxpayers Association for his leadership in resurrecting strategic tax cuts to stimulate economic growth. Speaker Hughes has worked extensively on issues that would help attract business and increase job availability for the citizens of Utah through tax reforms and incentives, and founded the Conservative Caucus in the House of Representatives. He has worked on a number of bills to show his support for our military and veterans, including sponsoring a Purple Heart tuition waiver for injured vets. He participated in the negotiations that allowed Utah to maximize federal money in a unique way, leading the state to have the ability to build three desperately needed new veterans nursing homes. Hughes founded Red Meat Radio in 2008 and co-hosted the Saturday morning show for six years, until 2014. He also participates in KCPW’s “Both Sides of the Aisle” with economist Natalie Gochnour and Senator Jim Dabakis, for which they received a UBEE award from the Utah Broadcasters Association for Best Personalities in 2014. Hughes is active in the community and has served in positions on the boards of Summit Academy Charter School, United Way of Salt Lake and Lone Peak Hospital.